Now more than ever, customers want the convenience of buying an assortment of healthy, fiber-rich, garden-fresh produce to feed instantly to their families. What used to be a marginal trend is now a wide-spread and growing purchase pattern. Fortunately, we’ve perfected the packaging for fresh produce. 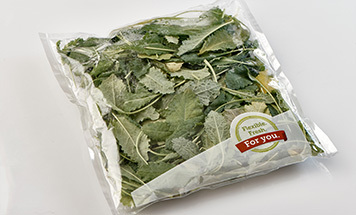 Whether it’s bagged blends, ready-to-serve side dishes, or on-the-go snack slices, our flexible films feature exceptional performance, even in temperate climates where long shelf life is difficult to achieve. At the supermarket, customers examine fresh produce almost more than any other food looking for signs of browning, limpness or deterioration. Our films present fresh produce at their best while maintaining quality and Day One freshness. Are you developing a new line of salad or pre-cuts? Looking for innovative ways to keep it garden-fresh and stand out on the shelf? You focus on the food and we’ll come up with the next-generation packaging for it. 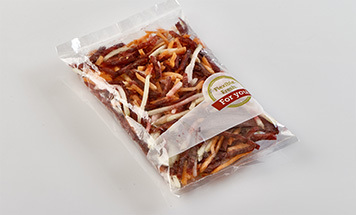 Nutritious fruits and vegetables are easy to enjoy when pre-sliced or offered together with a simple, yet tasty recipe printed on the package. 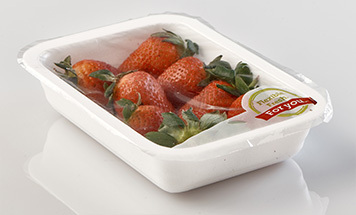 Our highly printable packaging adds value to your delicious food product by making your customer’s life easier!